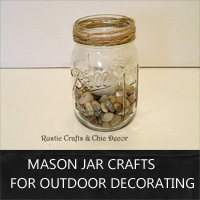 Check out this variety of mason jar crafts that you can use for outdoor decorating. 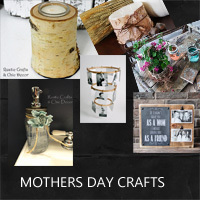 Make your mom something special this Mother's Day with these easy mothers day crafts that are especially rustic chic. 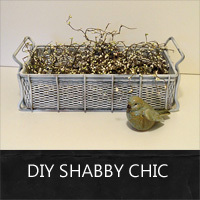 See how you can create your own cottage decor look with these easy diy shabby chic project ideas.